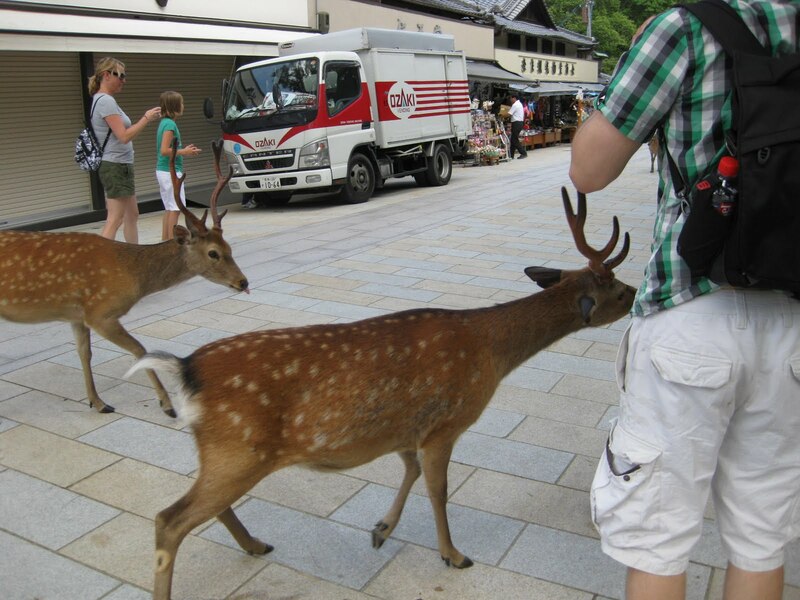 Kyoto private Guide: Deer Deer Deer! 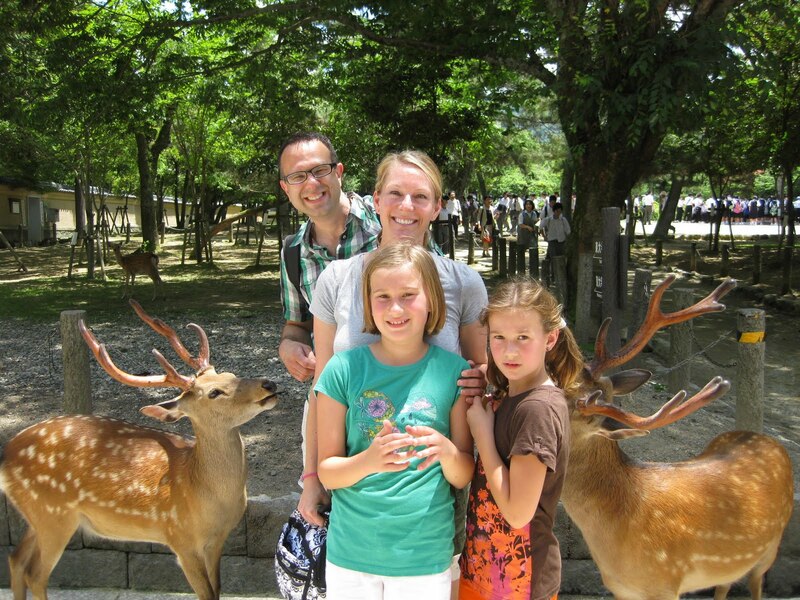 They insisted on going to Nara, because they were recommended by somebody. We met at the exit of JR Kyoto Station at 9:30. That was the beginning of the very busy day. In the station, it has some useful services. One of them is so-called Carry-service. All you have to do is to carry and leave your luggage there, and you can get it at your accomdation in the evening! 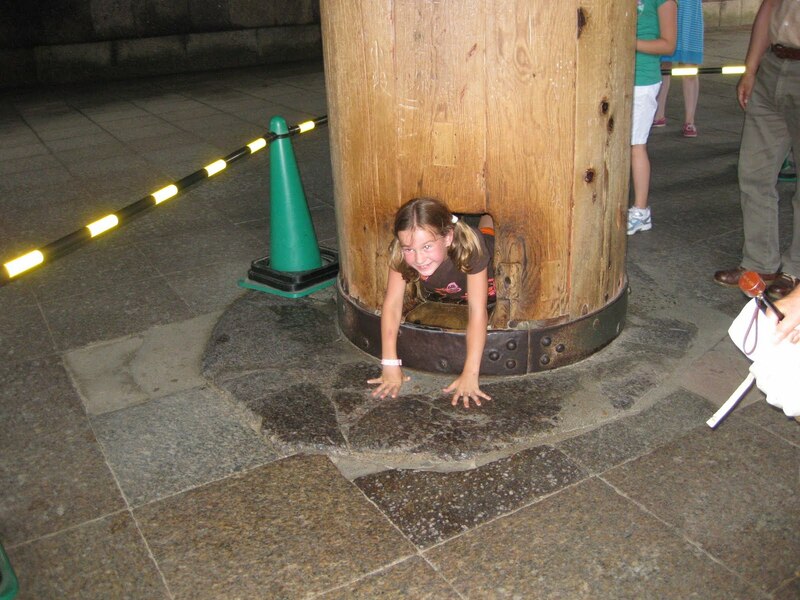 So, you can enjoy sightseeing without heavy luggage just after your arrival. We left our luggage there, and headed for Nara. 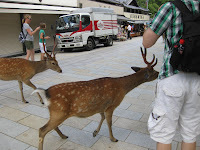 Around Todaiji temple, wild deer are hanging around. They know sightseers are very interested in feeding them. They also know where we get deer crackers. As soon as we stand in front of the shop, they are coming to get some crackers. Sometimes they poking us, pulling us and picking something like a map out of our pockets. In spite of such cute attacks against us, we fully enjoyed playing with these deer before entering the temple. Of course, we were impressed by the huge buddha image. After visiting Nishiki Food market, I sent them to Westin Miyako Hotel and said good bye to them. 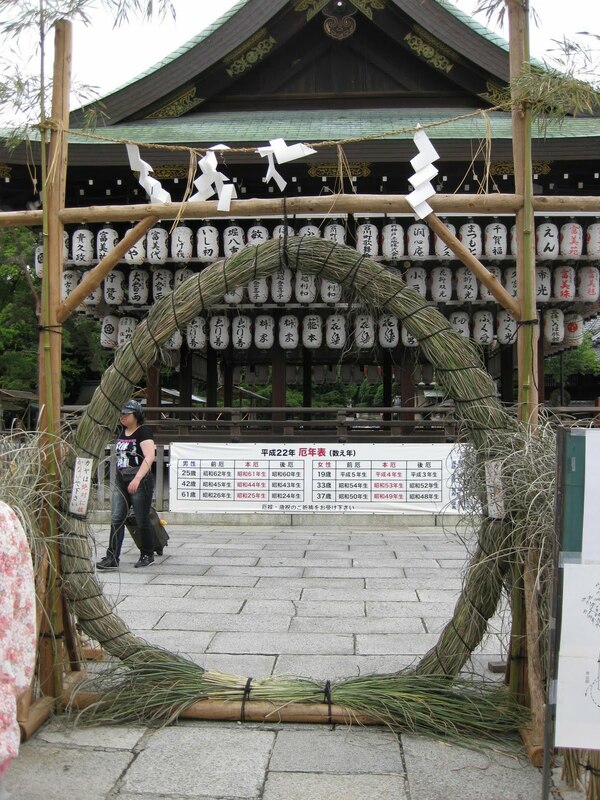 the tour : Nara Todaiji temple, Fushimi Inari shrine, Kiyomizu temple, Sanneizaka Nineizaka, yasaka shrine, Nishiki Food Market. Arigato Andrea, I could be following your path for ages.